This BPMN interactive learning resource explains the concept of process activities. In accordance with BPMN 2.0, two major types of activities are represented: tasks and sub processes. In addition, different special types of activities behavior and tasks types are explained. 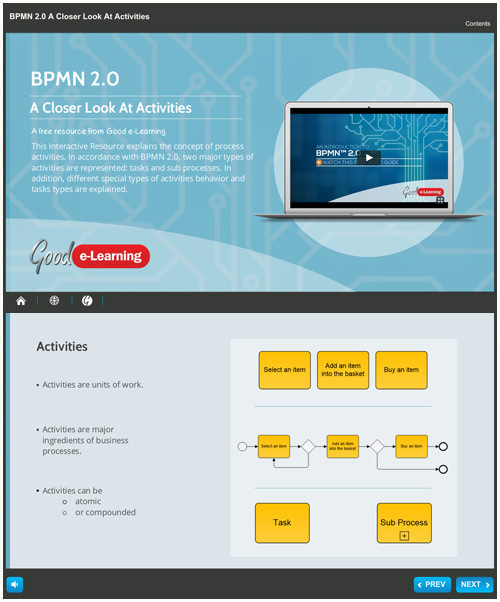 Download this free BPMN learning resource and you’ll also get instant access to our library of 490+ business and IT learning resources!